← Star Wars Galaxy 6 cards! Well, I have pages and pages of doodles that relate to my class notes (They help me remember and are mostly quite hilarious. I’ll scan some sometime for sure). I’ll do more posting as things go on. 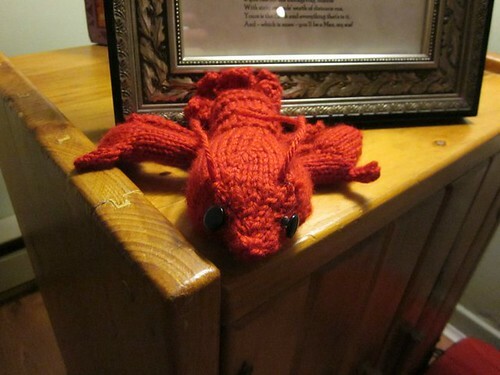 For now, here is Francois the lobster. 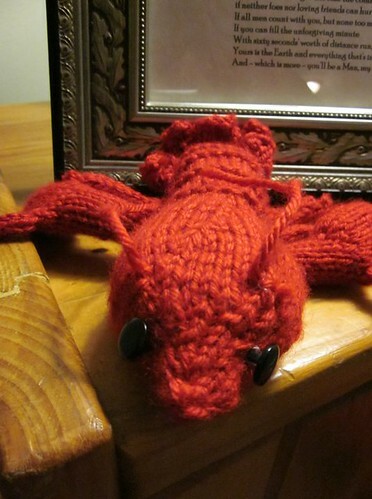 He is knit from this pattern and I kiiiind of messed up the increases/decreases and the placement of his feelers, but my brother thought he was adorable. 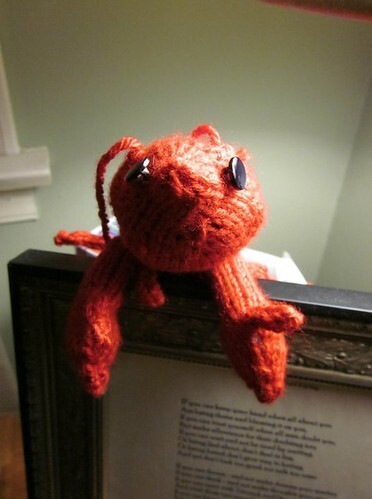 This entry was posted in knitting and tagged animals, cute, knitting, moonkin, world of warcraft. Bookmark the permalink. I’ve had this pattern for a couple of years. I really should do it one day. 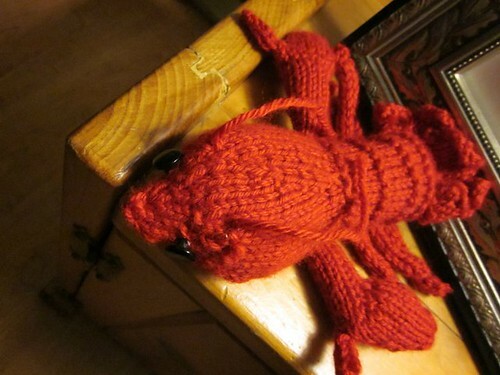 My daughter is lobster crazy. Nice work on it. Was it hard?